In a sweet way of indirectly declaring Marcia Wallace irreplaceable, Simpsons executive producer Al Jean told Entertainment Weekly that he and his colleagues still don’t know who’ll take Edna Krabappel’s place at Springfield Elementary. Following up on the show’s final farewell to the late Wallace (and Mrs. Krabappel’s signature laugh), Jean told EW “we have some ideas” for filling the fourth-grade vacancy, though none will be introduced in the current season—production of which has already wrapped. Of course, production cycles for animated series run roughly one year ahead of broadcast schedules, so it’s possible viewers still won’t see a full-time replacement for Krabappel by this time in 2015. Still, Jean isn’t at a complete loss. “It’s also possible both given the way the show works and the state of public schools there won’t be a permanent teacher,” he said. “We can get some great guest stars here and there before we settle on somebody.” But why book costly guest stars when the show can employ super intelligent cyborgs? Or, since cyborgs aren’t invented yet, the show could use people from the neighborhood! (Plenty of qualified candidates there.) 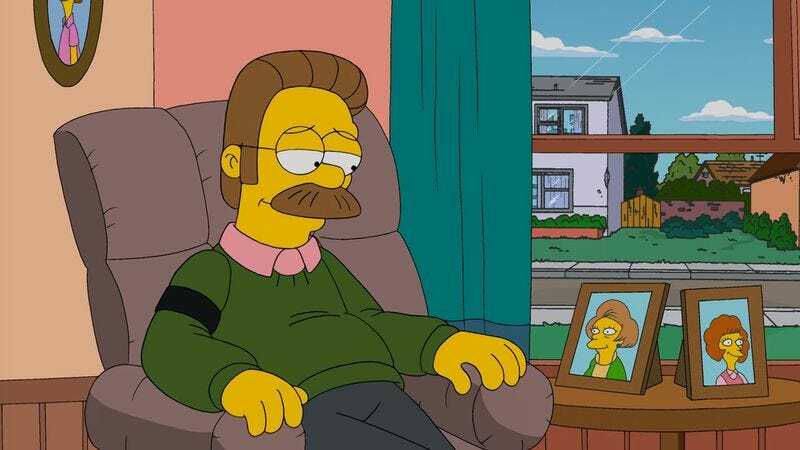 An additional suggestion: The Simpsons could finally give a chance to that Crandall woman Homer’s always going on and on about.